The path to Jewish independence did not begin on May 14, 1948. Or on the 4th of Iyar, which we honor in Israel as Yom HaAtzmaut. It did not begin with Herzl whose logical approach to the political advancement of Jewish nationalism was crucial to shifting attention to the right of Jewish nationhood. At that time, the truth of the Bible as a historical document was an accepted norm. 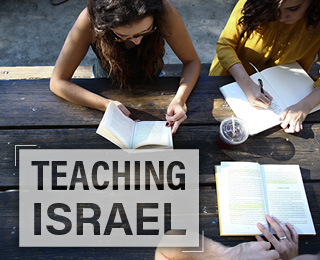 The truth of the Jewish connection to Israel was a fact that surpassed time and distance - for Jews and non-Jews alike. The vision for the return home for the Jewish nation was advanced by Balfour and his recognition of our ancestral rights on November 2, 1917, whose 67 words paid tribute to this long-standing truth - accepted by peoples of all faiths, ethnicities and nationalities throughout the world both in his time, and for generations before him. 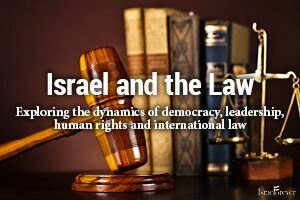 At San Remo, on April 24, 1920, Jewish rights were transcribed into international law, followed by subsequent affirmations in the international forums of law, human rights, justice, and social welfare. The Treaty of Sevres, the League of Nations, the UN Vote - all only served to affirm again and again the internationally recognized truth of the indivisible connection between Jews and Palestine, Eretz Israel. When the independent State of Israel was declared into existence on May 14, 1948, it was a culmination of the path we had journeyed to reach the pinnacle wherein Jewish sovereignty could once again be established in the only single land in the world that the Jews had ever, or would ever, call their ancestral homeland. 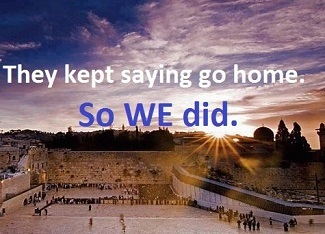 In the days between Yom Yerushalayim - the city that is and always has been the very heart of our ancestral kingdom - and Shavuot, when we honor the gift of receiving the Torah, we were reminded of when we became a people, and in Yerushalayim, we became a sovereignty, and in Eretz Yisrael we have returned home. 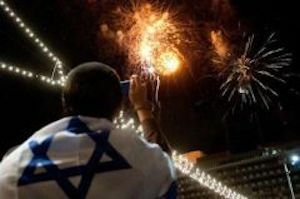 The proximity of these dates on the calendar may perhaps be by chance, but in fact, the connection runs deeper, reminding us that the Jewish journey to independence is an ancient one. 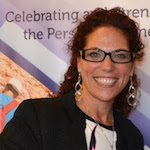 In the face of rising expressions of hate toward Jews both public and private, as the violent incidents increase and our youth, our communities are threatened again and again, as the continued calls for the destruction of our sovereign state coincide with the attempts to negate our indigenous rights in this land - we can clearly see that the journey is still unfinished. It is important to remember and teach the next generations that our independence relies not on any other body or determination in the world. It is our self-determination and collective will that preserves our rightful freedom from the persecution imposed by the world again and again. 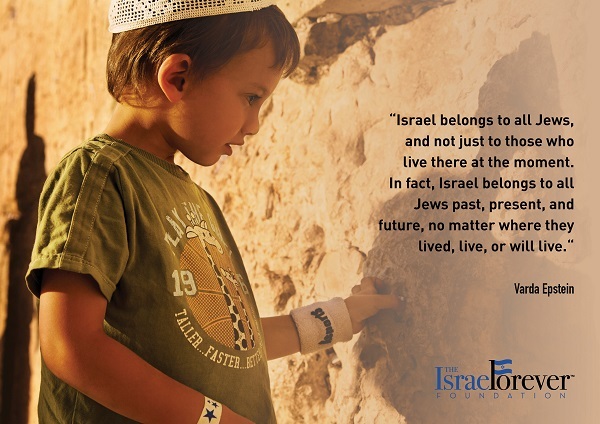 Our independence is possible because generations of Jews before us have passed down a commitment to carrying on tradition, heritage, history, memory. Just as they passed down the Torah and prayers, so, too, did they pass down the connection, the hope, the dream that one day we might return and see Jerusalem built again speedily in her days. We have not yet achieved the freedom we all truly seek. With hatred toward Jews finding voice and expression from our neighbors, from around the world, even from among our own, we are still fighting for the independence we so rightly deserve. We do not seek to be targeted as the eternal other, stranger, foreigner, accused of dual-loyalties - both in our nationalities as well as in our collective affiliations. 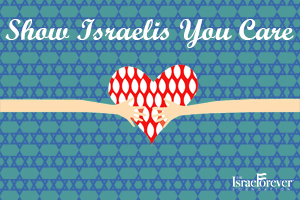 We can be both a proud Jew and a proud citizen of the country in which we reside. We can also be a proud virtual citizen of the country from which our ancestors were dispersed, a history that will forever bind us to this slice of soil so far away for so many Jews of the world. On Yom HaAtzmaut, we reclaimed our rightful ownership of our ancestral soil. On Yom Yerushalayim, we were reunited with our spiritual and historical center. On Shavuot, we were united with our creator in becoming the cherished nation we shall remain for eternity. On Rosh HaShanah, we renew our commitment to Hashem and on Yom Kippur, we seek repentance for straying from the path of righteousness. On Sukkot, we are reminded of the journey home, living a temporary existence until our permanent foundations were made in the Land of Israel. On Balfour Day and November 29, we remember the historical events that helped further the fulfillment of our modern dream of return. On Chanukah, Purim, Yom HaShoah, and Tisha B’Av we recall the attempts to destroy us. And we reclaim the legacy of our ancestors who fought and sacrificed for our Temple in the holy city of Jerusalem. No holiday or commemorative day stands alone. Each is a piece in the tapestry of our people, a step in our journey to independence. Today we are still walking the path, it is up to us to continue to strive towards a world that understands that Jewish rights are human rights. No conflict, fake news, or internal division should ever deter us again from our course of destiny. For the sake of Israel and Jerusalem, for the sake of family, we will not stay silent, we will teach the truth, speak against injustice and act in solidarity with our People. 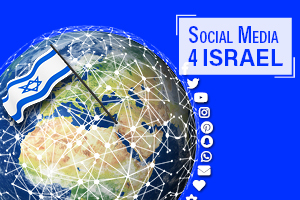 As the Nation of Israel, as Virtual Citizens of Israel wherever we are in the world, the future of Israel is in our hands.